P.N. Balaguru, Ph.D., is a distinguished professor of civil engineering at Rutgers. He served as graduate director for six years and undergraduate director for 15 years and has directed 30 Ph.D. and M.S. candidates dissertations. Prior to joining Rutgers, he served for four years as a program director for Infrastructure Materials and Structural Mechanics at the National Science Foundation. Some of his major research accomplishments include: development of fireproof high-strength composites, high-temperature and graffiti-resistant coating, a new polymeric fiber for use in concrete, lightweight and high-performance fiber-reinforced concrete, mathematical models for fatigue analysis of reinforced and prestressed concrete structures, analysis of ferrocement, and high-strength composite skins and retrofitted structures. His research has been sponsored by the National Science Foundation, Office of the Scientific Research AFSOR, Federal Aviation Administration, USDOT, NJDOT, Rhode Island DOT, State Highway Officials of Maryland, New Jersey Turnpike Authority, New England Transportation Consortium, and a number of corporations such as Dupont, 3M, Allied Signal, FMC, St. Gobain, Bechtel, ICL, and Owens Corning. Balaguru has authored two books and edited several others. His publications include more than 250 journal papers and he has made more than 250 presentations at conferences all over the world. These presentations include a number of plenary and keynote lectures. Balaguru is active in a number of professional societies including ASCE, American Concrete Institute (ACI), Society for Advancement of Materials and Process Engineering, and the Transportation Research Board. He served as chairman of two ACI technical committees and is the current chairman of Committee on Fiber Reinforced Concrete. Non-Linear and optimum design of structural components, strength and serviceability behavior for static and fatigue loading, use of computers for analysis and design, use of innovative system of construction such as tilt-up construction. Development of new approaches for project planning and control including equipment management, quality assurance and quality control. Ferrocement, fiber reinforced concrete, lightweight concrete and high strength carbon, and glass composites. P. Balaguru and S. P. Shah,Fiber Reinforced Cement Composites,McGraw Hill,1992, 530 pages. P. Balaguru, A. Naaman and W.Weiss,Editors, Concrete: Material Science to application A Tribute to Surendra P.Shah, American Concrete Institute, 2002, 580 pages. 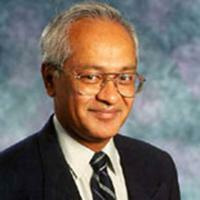 P. Balaguru, Editor, Thin Reinforced Concrete Products and Systems, American Concrete Institute, 1994, 156 pages. P. Balaguru and P. Chang, “High Strength Composites for Repair, Rehabilitation and Strengthening of Concrete structures”, ICI Journal, Indian concrete Institute, Jan-March 2003, pp 7-18. P. Balaguru, "High Performance Fiber Reinforced Concrete," Keynote Paper, International Congress, Challenges of Concrete Construction, University of Dundee, September 3, 2003. P. Balaguru, "Advances in Composites for Use in Repair and Rehabilitation of Infrastructure", Keynote Paper, International Congress, Challenges of Concrete Construction, University of Dundee, September 4, 2001. Kurtz, S. and Balaguru,P.,"Comparison of Inorganic and Organic Matrices for Strengthening of Reinforced Concrete Beams", Journal of Structural Engineering, ASCE, Vol. 127, January 2001. pp. 35-42. Hammell, J.A., Balaguru, P., and Lyon, R., "Strength Retention of Fire Resistant A luminosilicate - Carbon Composites under Wet - Dry Conditions", Journal of Composites, Part B: Engineering Vol. 31, No. 2, April 2000, pp. 107-111. Giancaspro, J., Balaguru, P., and Lyon, R., “Fire Protection of Flammable Materials Utilizing Geopolymer," SAMPE, Vol. 49, 2004, accepted for publication. Giancaspro, J., Balaguru, P., and Lyon, R., “Flexural Behavior of Balsa Wood Cores Reinforced With Inorganic Carbon Composite,” SAMPE, Vol. 47 I, 2002, pp. 530-541.